Founded in 1961 as a sole proprietorship under the name of "ETİ Bisküvi Fabrikası - Firuz Kanatlı", ETİ became a family company with the trade name of "ETİ Gıda Sanayi ve Ticaret A.Ş." in 1972. In 1980, Tam Gıda Sanayi ve Ticaret A.Ş. was founded and began cake production. 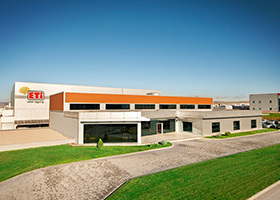 In 1996, a new and modern production facility was established in Eskişehir Organized Industrial Zone. In December 1999, the production in Eskişehir Center Factory was ceased. As of this date, Company began to male all biscuit production in its new facility in Eskişehir Organized Industrial Zone. Eti Gıda Sanayi ve Ticaret A.Ş., Tam Gıda Sanayi ve Ticaret A.Ş. and Eti Pazarlama ve Sanayi A.Ş. which operated as Eti Companies gathered under Eti Gıda Sanayi ve Ticaret A.Ş. in 2013. 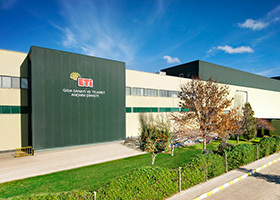 Today, Eti Gıda has seven production facilities. ETİ Gıda Biscuit Manufacturing Plant is among the top establishments of ETİ Group with its dedication to carry the Civilization of Taste to the future. As an extension of the first plant, the Biscuit plant commenced operations at Eskişehir Organized Industrial Zone in 1996. In 2005, ETİ Gıda Biscuit Manufacturing Plant successfully passed the audits and was awarded “TPM Excellence Award” by the Japan Institute of Plant Maintenance (JIPM). This success was followed by the “TPM Sustained Excellence Award” in 2007. In 2009, the plant won the 3rd level “TPM Special Award”, as one of the most important steps of the award process which consists of 5 steps in total. Recently awarded with the 4th level “Advanced Special Award for TPM Achievement” in 2017, the biscuit plant further aims to win the “TPM World Class Manufacturing Award” in 2021, which is the final stage of the process for the award only few factories in the world could have. ETİ Gıda Biscuit Factory has proven dedication and trust in the system quality and product reliability with its TS EN ISO 9001:2015 Quality Management System, TS EN ISO 22000 Food Safety Management System and BRC (British Retail Consortium Global Standards) Food Safety certifications. The cake factory was established at Eskişehir Organized Industrial Zone and it started manufacturing activity in 2006. Thanks to its high-capacity and state-of-the-art production line, top quality products and hygienic conditions, the factory occupies a distinct position as one of the world's few cake manufacturing plants of significant size. Leading brands and products of the market, such as Popkek, Topkek, Browni, Paykek and Sütburger are produced at the cutting-edge hygienic production lines of the cake factory at a high capacity, untouched by human hands. The factory was awarded the “TPM Excellence Award” in 2009, “TPM Sustained Excellence Award” in 2012, the “Special Award for TPM Achievement” in 2014, and the “Advanced Special Award for TPM Achievement” in 2017. TPM operations have been in progress with the aim of becoming the “World Class Manufacturing Plant”. The cake factory also has TS EN ISO 9001:2008 Quality Management System, TS EN ISO 22000 Food Safety Management System and BRC (British Retail Consortium Global Standards) certifications. 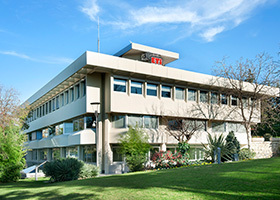 Established in 1980, the facility started manufacturing activity in 1981. 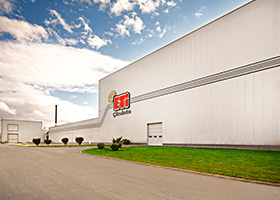 Balık Kraker, Pizza Kraker, Crax and Tadında brands and Sesame Stick Crackers, which are the favorite ETİ snacks of all time, are produced at this factory. Apart from cracker products; Form, Finger, Cicibebe, which is the first baby biscuit of Turkey, and Pronot assortments, the first and the only gluten-free biscuit group of Turkey, are also produced at ETİ Cracker Factory. ETİ Cracker Factory has proven dedication and trust in the system quality and product reliability with its TS EN ISO 9001:2008 Quality Management System, TS EN ISO 22000 Food Safety Management System and BRC (British Retail Consortium Global Standards) Food Safety certifications. Additionally, the factory was awarded “TPM Excellence Award” by the Japan Institute of Plant Maintenance (JIPM) in 2007 and “TPM Sustained Excellence Award” in 2010 for its success in the field with its activities for which the factory initiated the TPM (Total Productivity Management) system in 2003 and adopted it as a factory management system. 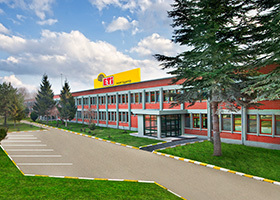 ETİ Group, having made great achievements in bakery products industry, established ETİ Chocolate Factory in 2003 to continue on their route of success in the category of chocolate, and bring innovative and unique tastes to consumers. Within the same year, chocolate production activity was initiated at one of the latest technology facilities of Turkey in its field, in two separate categories, including “Bar Line” for production of chocolate covered products and “Tablet Line” for production of chocolate assortments. After the inclusion of wafer production in 2009, the products have been increased in variety. The facility also operates for the production of liquid intermediate products needed by the Chocolate Factory and other ETİ Factories. Today, a variety of appealing products are produced at the Chocolate Factory for people of all ages in Turkey. Some of the most favorite products are the energetic Canga and Maximus, the enjoyable Petito and the delightful Keyfince, as well as Karam with its intense bitter chocolate assorted with uniquely delicate flavors, Hoşbeş that you can never stop eating, and Karam Gurme with its intense cream and bitter chocolate wafer. Products at the Chocolate Factory are produced automatically, untouched by human hands and in accordance with the GMP and HACCP rules. Our factory also has TS EN ISO 9001:2015 Quality Management System, TS EN ISO 22000 Food Safety Management System and BRC (British Retail Consortium Global Standards) Food Safety and global quality standards. TPM activities at the Chocolate Factory, along with other factories of ETİ, have been ongoing at full speed. In 2008, ETİ Chocolate Factory successfully passed the audits conducted by the Japan Institute of Plant Maintenance (JIPM) and it was awarded ‘TPM Excellence Award'. Later, the factory was also awarded the ‘TPM Sustained Excellence Award' in 2010, the ‘Special Award for TPM Achievement' in 2014, and the ‘Advanced Special Award for TPM Achievement' in 2017. Today, the Chocolate Factory has an exemplary status for Japan in terms of TPM. Bozüyük factory is a manufacturing plant of ETİ Gıda San. ve Tic. A.Ş. 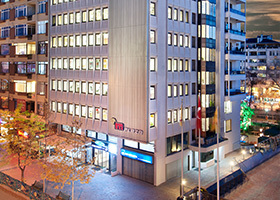 within ETİ Group of Companies. The foundations of Bozüyük Factory were laid in 1976. The factory commenced operations in 1978 with the production of melba toast (Etimek) at a daily capacity of 15 tons. In 1990, the facility started manufacturing Topkek, and with new investments made in the years 1994, 1998 and 2001 due to the insufficient capacity, new lines were launched for Popkek and Topkek products. The Oatmeal manufacturing plant was established on the same site on 21 March 1991 and it commenced operations with a daily capacity of 1.88 tons in the beginning of 1992. Today, nearly 30 different varieties of Popkek, Topkek, Browni, Turti, Etimek and Lifalif brands are produced on the production lines. With the successful implementation of the TPM practice at biscuit facilities, which was then moved to Bozüyük Plant, “TPM Excellence Award” was received in 2007, and “TPM Sustained Excellence Award” in 2009. 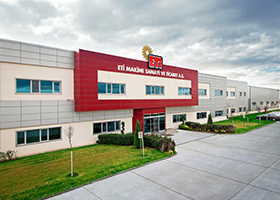 Bozüyük factory is of special importance for ETİ. As the products manufactured at Bozüyük factory were the first of their kind in Turkey and leaders of the market in their own categories, the plant achieved a quite rapid growth within a short period of time. With its physical capacity falling short of meeting the gradually increasing demands, the factory was moved to Eskişehir Organized Industrial Zone so as to continue its manufacturing activities in accordance with world standards. The ‘New Cake Factory’, as one of the world's few cake manufacturing plants of significant size equipped with state-of-the-art technology, came into operation and started manufacturing activity in 2005. ETİ Bozüyük Factory has proven adherence to food safety and quality with its TS EN ISO 9001:2008 Quality Management System, TS EN ISO 22000 Food Safety Management System and BRC (British Retail Consortium Global Standards) Food Safety certificates. 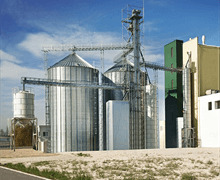 Beginning from March 2012, oatmeal production is carried out at our newly established Integrated Grain Processing Factory. Alasko Frigo production started in 2014. The Integrated Grain Processing factory was established in 2010 and its production activity started in 2012. 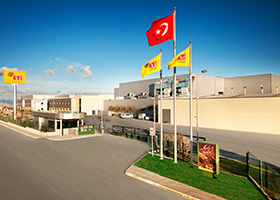 The Factory consists of three sections, including “Semi-Finished Product Lines” where semi-finished products are manufactured, “Breakfast Product Lines” where breakfast products are manufactured, and “Pop Corn - Pop Rice Lines” where popcorn and pop rice products are manufactured; the factory has become one of the most advanced facilities of Turkey in its field. The semi-finished products manufactured are processed grain varieties. Those products are sent to Biscuit, Cracker and Chocolate factories. The semi-finished products are also used within the facility depending on the need. GMP and HACCP rules are implemented at the factory, for which TS EN ISO 9001 Quality Management System certificate and TS EN ISO 22000 Food Safety Management System certificate were obtained in 2013. BRC (British Retail Consortium Global Standards) and OHSAS 18001 certificates were obtained in 2015. Upon establishment of the Integrated Grain Processing Factory, necessary facilities have been provided for grain stocking and contracted agricultural practices have been initiated at ETİ. Contracted agricultural practices, having started with oat seeding activities on a 10.000-decare area with 54 farmers in 2012 and followed the wheat seeding activities in 2014, have been increasingly in progress. Contracted agricultural practices are conducted by the Directorate of Contracted Agricultural Projects within the Group Directorate of Procurement. All processes carried out in agricultural fields by farmers are under the control and supervision of agricultural engineers of ETİ. ETİ has also realized its motto “From Farm to Market” by means of this project. TPM activities at the Integrated Grain Processing Factory, along with other factories of ETİ, have been ongoing at full speed. In 2015, ETİ Gıda Integrated Grain Processing Factory was awarded “TPM Excellence Award” by the Japan Institute of Plant Maintenance (JIPM). The dairy products factory was procured from a local milk company in Konya in May 2013. Upon acquisition of the plant, the products produced at the plant were sent to the ETİ factories in Eskişehir and Bozüyük for use as raw materials. Milk powder, plain butter and milk cream are produced at the dairy products factory. Milk powder is produced in two different processes: ‘Spray type’ and ‘Roller type’. Spray type is divided into two groups of process, which are in form of full-fat and fat-free milk powder. So, three types of milk powder are produced, which are: full-fat, fat-free and roller dried milk powder. In addition to milk powder, Plain Butter (Dry Butter) production also started as of 2018. The milk powder, plain butter and milk cream produced are sent to the Chocolate, Biscuit and Cake factories of Eti as well as the factory in Bozüyük. Apart from its manufacturing plants, Eti also performs sales at national and international scale on contract basis. In addition to milk powder, milk cream is also sold to companies. Having started production with a daily milk processing capacity of 50 tons in 2013, the dairy products factory processes over 230 tons of milk on daily basis as of 2018. Especially in parallel to the capacity growth at the Chocolate and Biscuit factories, it is anticipated that the capacity will be increased through new investments planned. The dairy products factory has increased its quality standards and reached ETİ standards through improvements made beginning from the date of its acquisition. Products at the factory are produced automatically, untouched by human hands and by adherence to GMP and HACCP rules. ETİ Dairy Products Factory has proven dedication and trust in the system quality and product reliability with its TS EN ISO 9001:2015 Quality Management System, TS EN ISO 22000 Food Safety Management System and BRC (British Retail Consortium Global Standards) Food Safety certifications. Eti Gıda Dairy Products Factory has a distinct position compared to the other factories of Eti as it is the first Eti factory located outside Eskişehir, it was incorporated to the structure of Eti by procurement and it occupies a different field of the snack industry. The plant is of strategic importance with its basic motivations such as reducing costs of raw material, increasing quality standards of raw materials and producing special raw materials for new products. 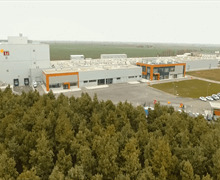 Romania Factory is the first greenfield project and first foreign investment of ETI that the groundbreaking of the factory was held on 25 November 2014. The facility, located in the Craiova city of Dolj Region, Romania, started its activities in May 2016. With a total area of 76,800 sqm and over 300 employees, it has been producing with 3 lines, Petit Beurre, Crax, Tutku (Kombo), Passion, Puf and Cin brands and shipping to 13 countries. Our ETİ Romania Factory has taken the BRC Certification (British Retail Concortium Global Standards) Food Safety in September 2017 and demonstrates our commitment and belief in system quality and product reliability as it is in our other factories. Our factory also continues to work on the way of Excellence Award by adopting TPM as a factory management system, which started its activities in March 2017.